In 2016, Lamplighter launched a comprehensive strategic planning process, its first in more than six years. 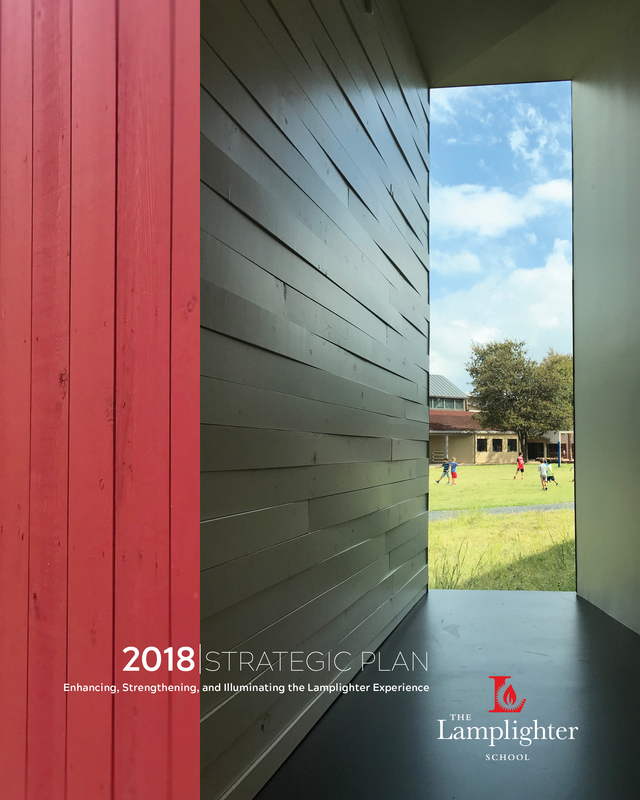 The result of a broadly inclusive and consultative process, Lamplighter's 2018 Strategic Plan: Enhancing, Strengthening, and Illuminating the Lamplighter Experience guides the School's programmatic growth and continuous improvement. Comprised of three broad goals, followed by specific recommendations, the Strategic Plan touches every aspect of the School and is the guidpost against which we measure our achievement. In 2003, Lamplighter received the prestigious Energy Star Award from the Environmental Protection Agency for its innovative improvements to the school's heating and cooling systems. The school has continued to win this award every year since 2003. Although the school is known for its expansive open spaces and extensive use of natural light, these architectural elements created many challenges. Instead of eliminating the vintage 1960's HVAC equipment, Lamplighter updated the system with a new control method that allows Lamplighter to monitor and manage HVAC operations via the internet.